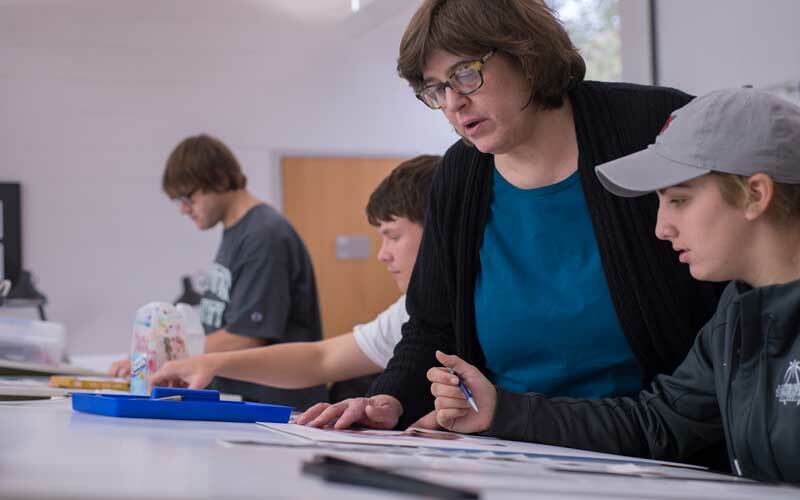 The graphic design program combines a fine arts foundation with a special emphasis in graphic design. 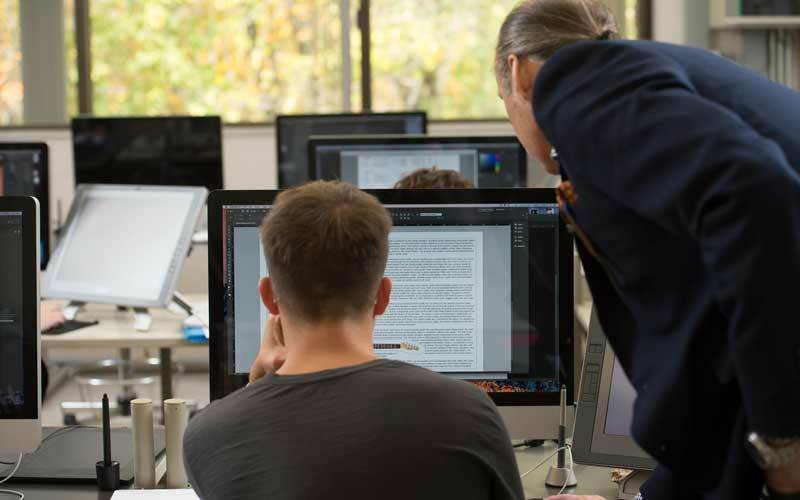 Our graphic design majors get hands-on right away, taking classes in our state-of-the-art computer labs that features 27-inch iMacs with 3.4 GHz Intel Core i7 processors, 12 GB of RAM AMD Radeon 6970M 2GB Video cards, and 480 GB SATA Solid State Drives. 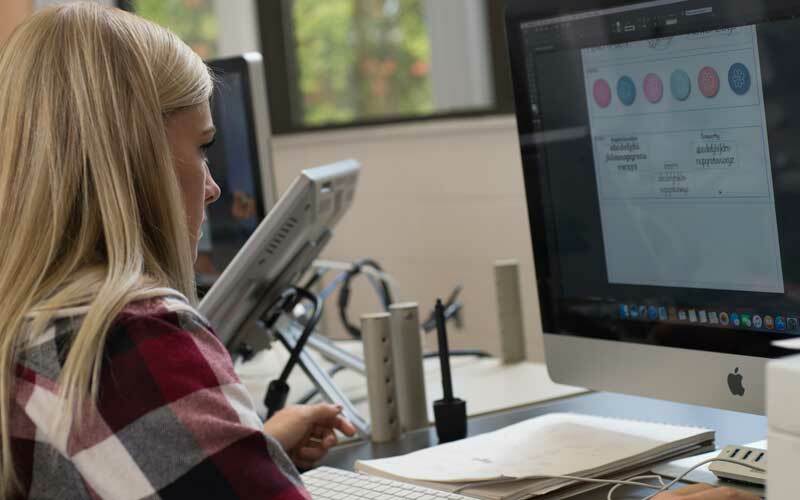 As a graphic design major, students will develop knowledge, skills, and experience that prepare them to work in a wide variety of careers in design. The program emphasizes practical experience in client based problem solving and creative idea development for the design marketplace including logo design, poster, brochure, package, advertising and identity design, copy writing, photography, web design and illustration. Students complete advanced studios and an internship in graphic design in preparation for a senior exhibit and portfolio. 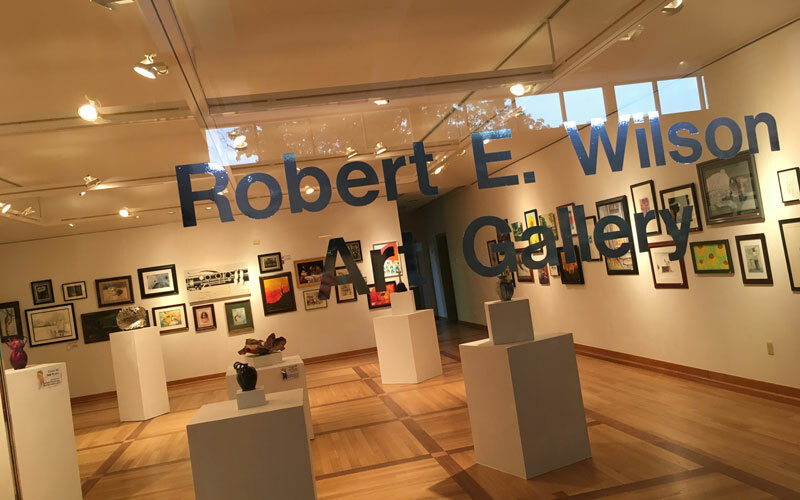 Stop by the Merillat Centre for the Arts for a visit to the Robert E. Wilson Gallery. 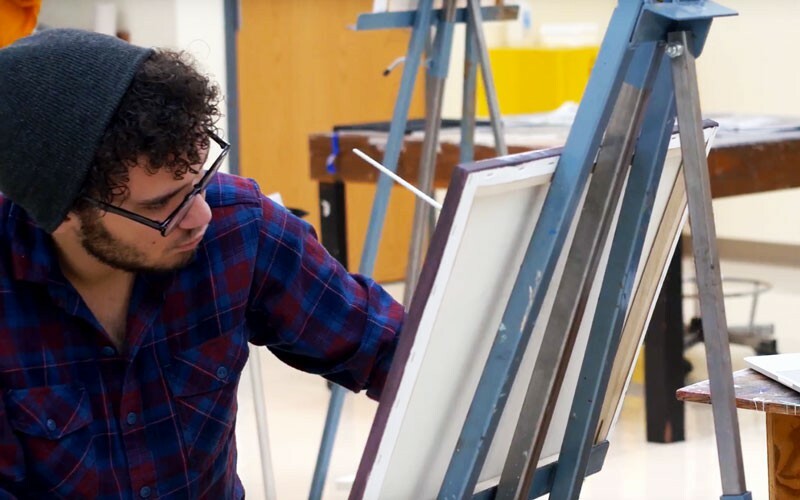 The Gallery presents a series of rotating exhibits throughout the year featuring work from student, faculty and professional artists. Students have the opportunity to display their art for show multiple times during the school year. The Gallery’s permanent collection includes paintings by a variety of contemporary American and European artists. It is open weekdays from 9 a.m. to 5 p.m., before and after all Merillat Centre performances and by appointment.